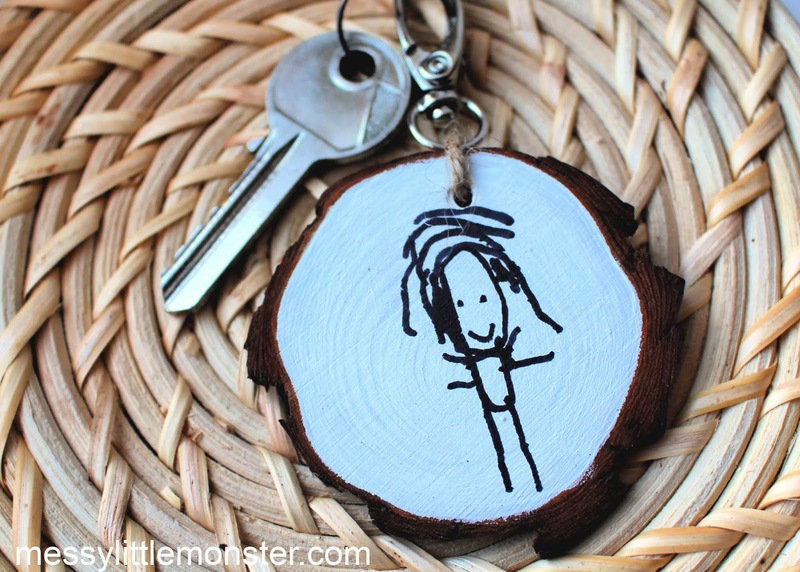 Wood Slice DIY keychain Craft- personalised gifts for kids to make! With UK Mother's Day just around the corner how about making a diy keychain for mum to treasure?! 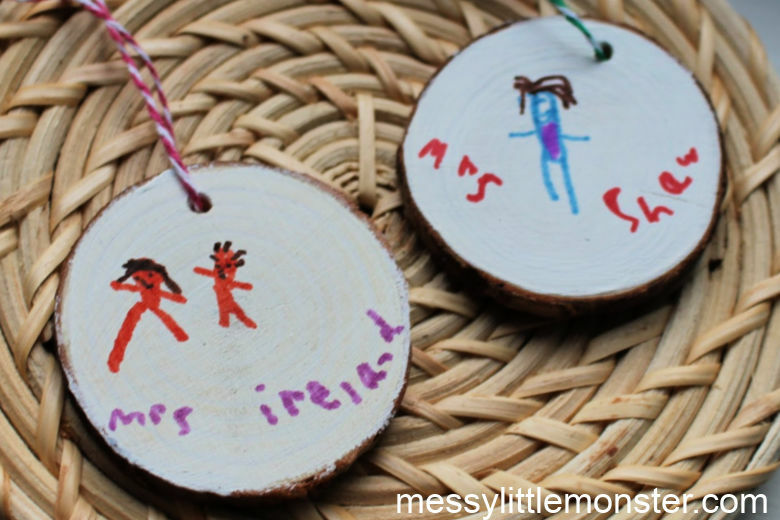 Turn a wood slice into a homemade keychain and personalise it with a drawing of mum or a special message to let her know how special she is. This wood slice craft would be great for dad for Father's Day too! 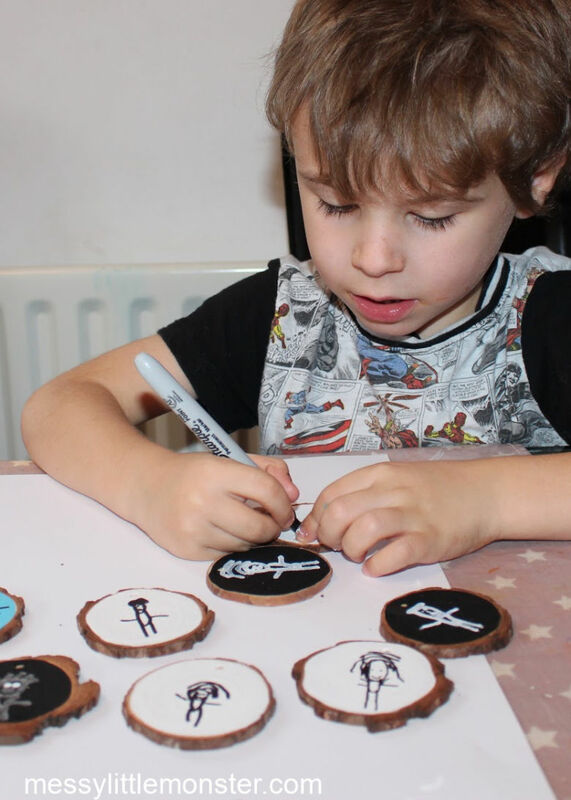 Infact these diy keyrings are awesome gifts kids can make for any occasion! DIY keychains are so fun to make and they are PERFECT as homemade gifts. 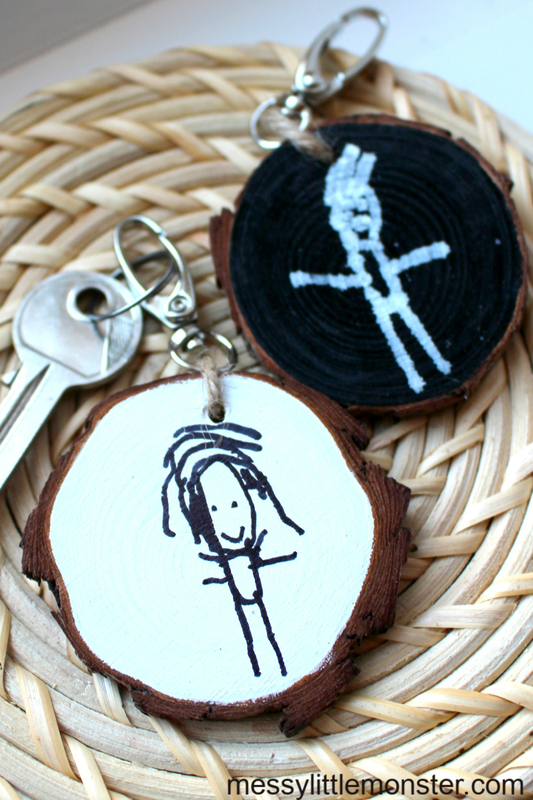 Any mum or dad would be delighted to recieve a homemade keychain so they can carry a little piece of their child's artwork around with them! You might also like this shrink plastic keychain or this heart shaped fingerprint keychain. Wood slice crafts seem really popular right now and I love the rustic appearence of these wood slice keychains. It is always good to gather all your supplies before beginning any craft. Get your wood slices ready, prepare paint in your chosen colours and get your work surface ready. 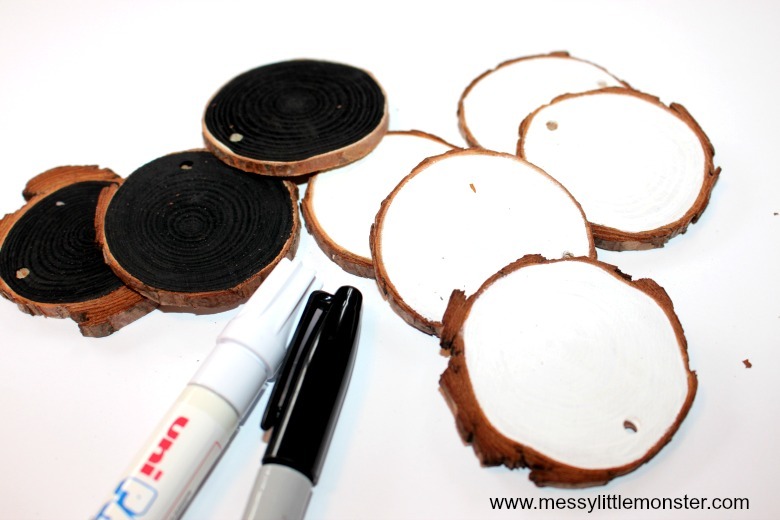 To prepare the wood slices ready for drawing pictures you will need to paint them in acrylic paint. If you draw straight onto the wood the colour will bleed. Carefully paint the wood slice in your chosen paint colour. Go as close to the edge of the wood slice as you can whilst leaving a little wood showing to add to the rustic look of these keychains. Leave the paint to dry. Once the paint has dried your wood slice is ready for drawing on. 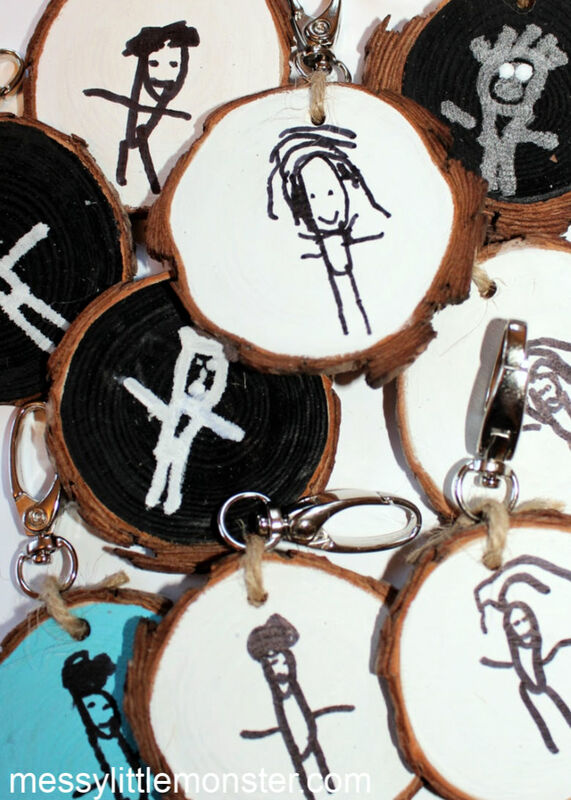 We chose to draw pictures of the people that these keychains were being made for, but you could really draw anything! Alternatively you could add a short message e.g 'I love you' or 'You're the best'. TIP: Using thin marker pens works the best! 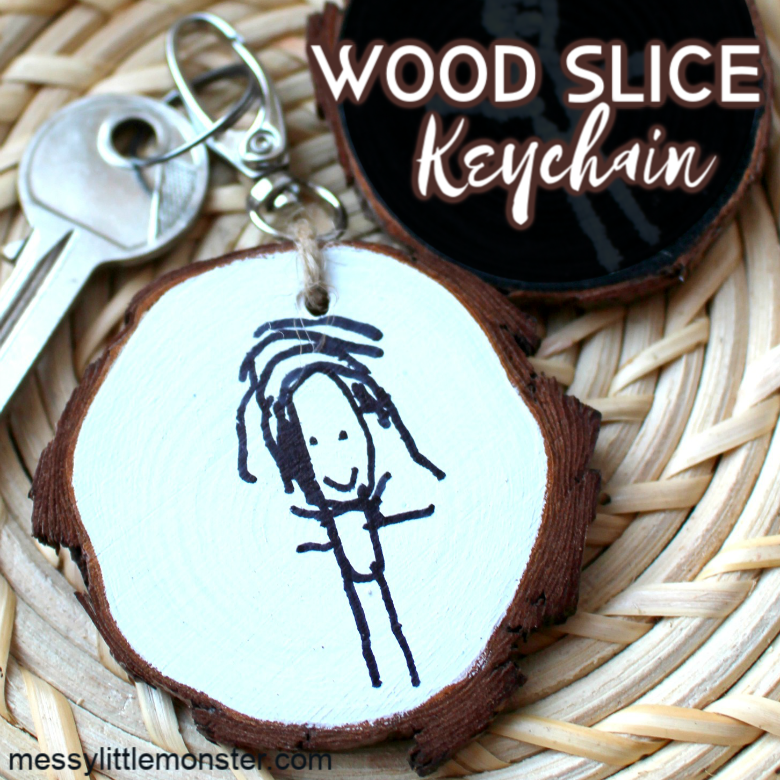 Tie a keychain to each wood slice using a short piece of twine. Your diy keychain is now complete! Why not make them for the whole family! They make cute gifts for teachers too. You don't even need to add a keychain, this wood slice craft makes a great ornament or gift tag too! We hope that you have fun making and gifting your own diy keychain. This wood slice craft is so easy to make and perfect if you are looking for homemade gifts kids can make. Who are you going to make your homemade keychains for? Why not make them for the whole family!